There will be no school Thursday, April 18 - Monday, April 22. School will resume Tuesday, April 23. The team of Tatum Watkins, Owen Johnson, Phoebe Garrett and Madelyn Sharr won 2nd place in the Iowa Finance Challenge. They will receive a financial award. The team of Presley Jobe, Arin Eberly, Isabella Lecher and John Schwab were in 8th place. We had 8 teams score in the top 50 with a larger competition this year including the suburban areas of Des Moines. Owen Johnson received a perfect and top score, while Arin Eberly, Tatum . . .
PRESS RELEASE April 16, 2019 For Immediate Release Notice of Public Forum Contact: Deron Stender, Clarinda Superintendent (712-425-5165) or Tim Hood, South Page Superintendent (712-582-3211) The public is invited to attend a public forum to learn more about the possible shared academic and activity programs between Clarinda Community Schools and South Page . 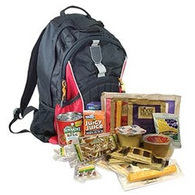 . .
Clarinda Regional Health Center (CRHC) Population Health Manager Molly Gilmore has announced a “Backpack Initiative” partnership with the Clarinda Community School District that helps address food insecurity for children in our school district. The USDA says food insecurity can be defined as those children who are struggling to avoid hunger. Clarinda School Superintendent Deron Stender says, “Our community is . . .